Over the weekend, signs of progress finally surfaced around the BP Oil Spill and the efforts to stop its constant flow of oil into the Gulf of Mexico. With a cap finally placed on the ruptured piping, BP estimates that approximately 10,000 barrels of oil are being captured every day and stored at the surface. However, the estimates of how much oil is actually leaking per day lies anywhere from 12,000 to 25,000 barrels. When BP explains it, they say the amount of oil leaking is 12,000 barrels per day (minimum) to 19,000 to 25,000 barrels per day (maximum). As many journalists have pointed out: where does that meaningless 19,000 number come from? Multiple news articles pointed out how ridiculous it is that BP is still attempting to use sly tactics to manipulate the information they are providing us. According to the information given by BP, they estimate that they are capturing anywhere from 40% to 80% of the oil. Seems like a rather huge margin. BP says once they have adjusted the cap correctly, they will be able to siphon about 90% of the leaking oil to the surface. The success of the cap adjustment is yet to be seen, as is the adjustment BP will make for the amount of oil spilling. That is, if they successfully adjust the cap. Unfortunately, that has been BP’s process: Low-ball the estimates of oil spilling until an attempt is successful enough to make them realize there is more oil leaking than they originally thought. We can only hope that BP, now under the spotlight of the Obama Adminstration, the entire Unites States, and much of the world, is doing a better job of being honest throughout these unfortunate and often uncontrollable situations. ABC News announced the results of a poll that shows Americans believe the BP Oil Spill in the Gulf of Mexico is worse than Hurricane Katrina. That is by a significant margin of 2 to 1. Americans also heavily favor following up with criminal charges to BP. 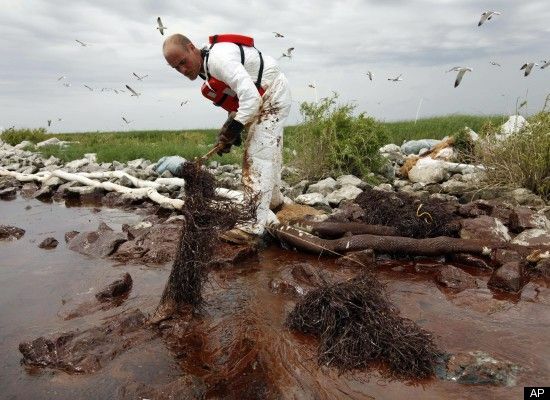 The poll also showed that 8 out of every 10 Americans believe BP did an unacceptable job responding to the spill and that the majority of Americans believe that the government response was worse than the response after Hurricane Katrina. At this point, BP has spent around $1.25 billion as a result of the spill. Estimates of BP’s final bill are currently exceeding $20 billion. This is definitely among the most fascinating blogs I’ve seen. It is so easy to tune out, but there’s truly still some excellent material on the internet, and I think your place is on the list! This is the reason I keep returning to this site. I can not believe I missed so many posts since the last time! I never would have considered at things like that. This is going to make my afternoon a bunch easier. This is absolutely perfect. Thankyou for making this available! That is an amazing quotation, thanks Carol.